Romania – In Romania everyone is officially pro-Western. 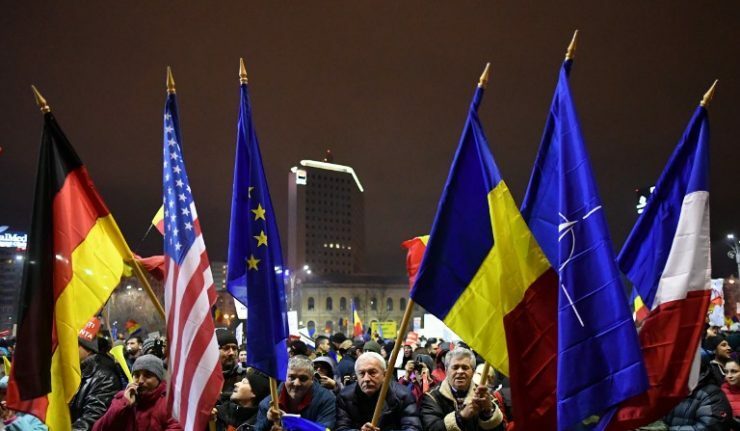 No established political force is challenging the country’s membership to NATO, despite the installation of U.S. military bases which, by President Putin’s own admission, make Romania a priority target of Russian nuclear retaliation in the event of conflict. And, in spite of the sporadic grumblings of C. P. Tăriceanu (the second-highest ranking member of the current governing coalition), there is not, strictly speaking, a Eurosceptic party in Romania as there is in France, Hungary or Austria. Since Romania has always been the frontier of various empires, Romanians have been trained in the arts of concealment, compromise and duplicity, the rule being that they always do the bidding of the current hegemon. In reality, however, the more Romanians get to know the West (thanks, particularly, to massive economic emigration), the more the enthusiasm of the 1990s discreetly fades: the migrant crisis and the Brussels project of quotas has fallen upon the same frightened incomprehension as in the rest of post-communist Europe; as for the LGBT agenda, a petition calling for a referendum to incorporate into the constitution the heterosexual nature of marriage has just collected three million signatures (out of a resident population estimated at 18 million: one in six Romanians has signed the petition). 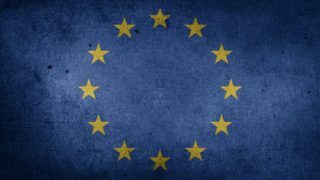 Paradoxically, the massive economic emigration of the last decade, resulting in those Romanians most culturally compatible with the contemporary West having moved abroad more or less definitively, has purged the country of forces upon which a Westernist “updating” could have been based. Personal observation suggests to me that the writings of A. Dugin (generally presented by the Western-dominated Romanian press as the mastermind of a new Russian imperialism) are proportionally more read in Romania than in Russia. Upholding Russophobia and the myth of the “Russian threat”, even though there is no legal proof of any subversive activities carried out by Romanian citizens in service to Russia at any point in the past few decades (whereas in Poland, for example, at least one activist has been imprisoned for such). It is generally based on a fantastical identification of present-day Russia with the Soviet Union, out of which the latter seceded, of its own free will, more than twenty-five years ago, and on the territorial conflict between the Moldovan Republic (that is, a neighboring state – not Romania) with its Transnistrian separatist region (whose independence is, by the way, not recognized by Russia). Upholding Magyarophobia, inter-ethnic tensions in Transylvania (where approximately one million members of the native population are ethnic Hungarians), and the irrational fear of Hungarian activities aimed at “reclaiming” Transylvania (which the Republic of Hungary, however, did not lose: the state which was deprived of it by the Treaty of Trianon was the Austro-Hungarian Empire). 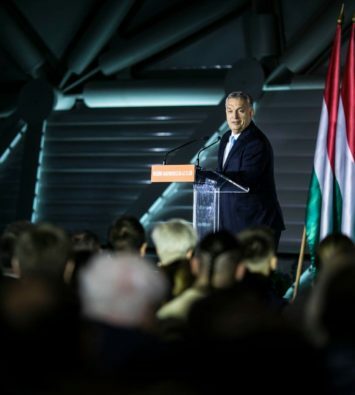 In fact, in Hungary, for decades now, the only official organizations that openly embrace a full-fledged irredentist agenda are small extremist groups counting no more than a few hundred members. The only demands of the Hungarian minority in Romania (demands which the Hungarian state indeed supports) are respect for their cultural rights (school classes taught in the Hungarian language, etc.) and, if possible, extended autonomy for the Szekler Land, a language enclave mostly Hungarian, located in the very center of Romania, hundreds of kilometers from the Hungarian border (and thus of no strategic importance). 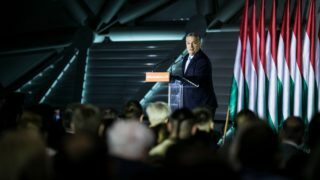 Relatively secondary during the years following Romania’s admission to NATO (which by that time – 2004 – already included Hungary), this Magyarophobic objective was obviously reassessed after 2010, the new regime of V. Orbán having then taking a turn that the hardliners of Western globalism found intolerable. Spreading the Romanian collective psychosis known as the “fight against corruption”, which above all justifies the arbitrary power of the Anti-Corruption Prosecution Office currently directed by the infamous Laura C. Kövesi, who breaks political careers at will, with a curious predilection for those politicians who do not enjoy the favor of the West – i.e. mainly members of the currently ruling PSD, but also members of the UDMR/RMDSZ (the party of the Hungarian minority), ever since it initiated a rapprochement with V. Orbán’s ruling FIDESZ party. In essence, this discourse usually consists of making the corruption and greed of a small clique of politicians responsible for all the evils of Romanian society; more often than not, this criticism does not attempt to quantify what it denounces, let alone to make comparisons with other countries, especially Western ones (see London: Grenfell Tower); it also tends to focus on the corrupt, systematically forgetting the role of the corrupter (who, in most cases, is a Western multinational corporation, bank, or citizen). It thus essentially reverses the cause and consequence, by presenting the (rather obvious) existence of a comprador political class as the source of the evils that actually stem, as well as the very existence of that class, from Romania’s undeclared colonial status. Romanian “secret services”, generally under Western control (most likely under a good deal of direct American control) for more than ten or even twenty years, are in fact fairly unconcealed, actually perpetuating the political police (Securitate) of the time of N. Ceauşescu. They have the largest budget in Europe (in absolute numbers! ), officially totaling 36,000 registered employees (an astounding 1 per 500 inhabitants! ), of which, according to the services themselves, many agents have infiltrated the press (as confirmed by a series of public confessions), but also, more discreetly, the judiciary. Like their American counterparts, these services are legally allowed to covertly manage commercial companies, and they maintain an internal economic empire, which routinely produces new “tycoons”, authentically counterfeited self-made men who, after a very rapid and very easy enrichment, will “spontaneously” decide to reinvest a part of “their” capital in the press and politics. Neo-Protestant sects, generally affiliated with a mother-church based in the United States. While fighting the influence of the Orthodox Church (conceived as a geostrategic danger by the doctrines inspired by S. P. Huntington), they serve, like certain Masonic obediences, to endow a semblance of respectability to the highly selective sociability of New Romanian economic elites, who, in the almost complete absence of indigenous productive investment, are in the great majority of cases straw men of foreign interest groups, often also associated with political enterprises, and / or parasites of an institutional structure. These sects are particularly well established in Transylvania, where one of their members recently took charge of the National Liberal Party (PNL) in Bristriţa county. In the best Western democratic tradition, this criterion set makes it possible to identify not one, but two groups of influential agents, one (G1) rather closely associated with the so-called “right-wing” parties (PNL of the current President Johannis, PDL of former President Băsescu, and especially the last one: USR, the “civil society” party, a very close equivalent to E. Macron’s En Marche party in France), the other (G2), during the last decade, infiltrated the patriotic wing of the PSD (nominally “center-left”), currently in power – until the very recent failed mutiny led by S. Grindeanu and V. Ponta which allowed many of the infiltrators to be identified. Based in Cluj (the historical capital of Transylvania), the G1 “news and information site” PressOne, fiercely anti-communist, is fighting the PSD by every available means, presenting it as a pre-1990 relic and (more indirectly) as a possible Russian Trojan Horse in Romania; PressOne was founded by the American “philanthropic millionaire” Don Lothrop, who is also at the head of a Transylvanian economic empire based on his association with Vasile Suciu, a member of the PSD until his departure from the party in 2004, while also being a leading member of the neo-Protestant group Oastea Domnului (“the Army of the Lord”). Lothrop, who frequently described how he “fell in love with Romania” by hearing a story of the forgiveness granted to his torturer by a priest imprisoned under Communism (at least in one of the versions of how this miraculous conversion happened, coincidentally just one year before Romania’s entry into NATO – Lothrop having unfortunately produced several, partly contradictory versions), visibly endorsed these values of forgiveness when it came to choosing a business partner. Converted to condonation, Lothrop did not necessarily succeed in converting his local partners to the principles of efficiency and transparency in business, judging by the fact, revealed by the local press, that in 2014 (after eleven years of Lothrop paying monthly visits to Romania) two of the myriad companies in which he is involved (in this instance, a consulting firm and a real estate company) have totaled nearly € 200,000 in losses, while the name of this philanthropist also appears in the letterhead of several offshore companies, some which do show profits. It appears these peculiar losses have never been investigated by the Romanian tax authorities, probably willing accomplices in this case to a tax evasion operation (the most common technique in Romania being to overstate the value of some real estate given as a pledge to the tax administration, which pretends not to notice the trick – and, lo and behold, Lothrop, as reported by local press, boasts of his venture capital fund New Vista Partners, owner of said real estate company, realizing in Bihor county an investment “worth $ 6 million”). On the other hand, I have not yet succeeded in detecting the B (neo-Protestant) entourage in the (generally Wallachian) staff of the G2 – a quite predictable result, as territorial and denominational differences, in Romania, are far more important than the (apparent) ideological divides. However, this is not to deny the existence of a number of structural differences between G1 and G2. G1 does not seem to have economic autonomy in Romania, and therefore relies very heavily on North American patrons who have miraculously enriched themselves in financial operations and who, as soon as they begin traveling the world, just always happen to enthusiastically embrace the most up-to-date version of NATO’s strategic doctrine (which clearly constitutes the current modus operandi of the CIA, largely imitated by “intelligence communities” around the world: in Romania, Russia, etc.). G2, on the other hand, has, besides the enormous budget of the Romanian intelligence services, an immersed economic empire, which renders less visible – though probably not less real – its dependence on the imperial metropolis. This relative discretion allowed, for example, B. Diaconu, before becoming the founder of the PRU, to infiltrate the staff of Voice of Russia’s Romanian edition; similarly, former collaborators of V. Tudor’s Greater Romania Party (now dead or fossilized, while its members massively migrated towards the PRU) regularly succeed in injecting Magyarophobic and anti-PSD messages (objectives 2) and 3)) in the columns of the Romanian-language version of Sputnik, whose overwhelmed staff has no clear editorial line. It seems, nevertheless, to be President Johannis’ visit to Washington on June 9 that triggered Prime Minister S. Grindeanu’s mutiny, when, allied with V. Ponta (see above), he tried to topple the present PSD leadership, which led to the fall, on June 21, of his government under the effect of a motion of censure introduced by the PSD. As for former MP and press tycoon S. Ghiţă, now on the run in Serbia: he has meanwhile become a whistle-blower, focusing in particular on destroying the reputation of the anti-corruption prosecutor L. C. Kövesi. In a series of widely publicized videos, he describes some festive evenings in Predeal (a luxury ski resort in the Carpathians) in which he took part, alongside L. C. Kövesi and at least two senior officers from the CIA (Karl Schwab and Eric Ashely, successive directors of the CIA station within the US Embassy in Bucharest). The A) entourage is thus a common characteristic of G1 and G2, as well as (although in varying proportions) objectives 1), 2) and 3). Another structural weakness of G1 is its relative porosity towards what might be called G3, namely the Soros Galaxy in Romania (to which most EU funding is also given). 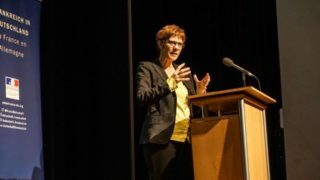 Similar to G1 in its structure, G3 targets a young and urban sector of opinion, especially sensitive to its anti-clerical, or even militantly atheistic messages. Consequently, the B entourage (neo-Protestant) is virtually excluded, while the A (secret services) remains rather discrete. Its liberal, anti-national ideology also makes direct implementation of objective 2) impossible: propagating Magyarophobia would not fit into the G3 agenda, especially since the USR, its main political incarnation, has as an element of its agenda the appropriation of the left-liberal wing of the UDMR for its own benefit; within G3, Magyarophobia has to remain within the limits of a moralizing critique of the supposedly dictatorial aspects of V. Orbán’s regime, without reference to a hypothetical Hungarian irredentism. Russophobia, likewise, is maintained in a leftist / universalist angle, presenting Russian society as the victim of Putinism, rather than as hereditary enemy (this is, notably, the job assigned to the Moldova-born novelist V. Ernu, who has spent years at the head of the Critic Atac review, funded by German political foundations). It is in the promotion of objective 3) that G3 achieves its best results, particularly because it targets a public of idlers and tertiary employees deprived of any real socio-economic understanding of their own country. It is this reciprocal porosity of G1 and G3, often sharing the same sources of financing, which gives its surrealist aspect to the USR party, halfway between En Marche and the Kiev Junta, bridging the worst of the extreme right to the worst of the extreme left. 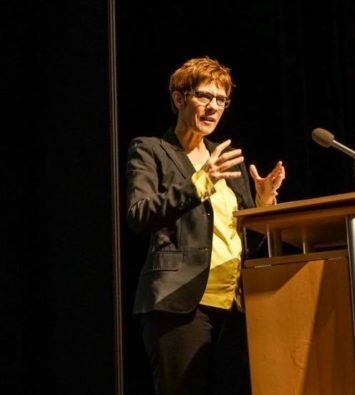 For example, Nadia Pal, USR candidate for Bihor county, is a pure product of Don Lothrop’s nursery; he placed her foot in the stirrup, entrusting to her, within his NGO network, missions of public interest (ecology, quality of life) likely to make her popular in Oradea (the capital city of Bihor county, and Lothrop’s first anchor in Romania, where this great lover of children sponsored an orphanage). 150,000 of the 600,000 inhabitants of the county are ethnic Hungarians, and the USR, a Romanian-speaking party, is doing its best to attract the liberal wing of the UDMR / RMDSZ. Will Nadia Pal ignore her ex-boss’s inciteful Magyarophobic statements? 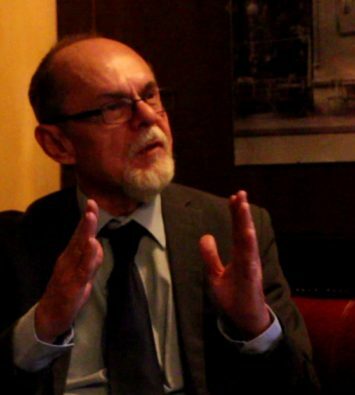 Romanian atheists, anti-clerics and LGBT activists (generally enrolled in the NGOs of the Soros Galaxy) are revolted by the creation – with the help, in particular, of American neo-Protestant groups – of a Family Coalition seeking to make gay marriage constitutionally impossible in Romania; are they aware of Don Lothrop’s extensive neo-Protestant connections? 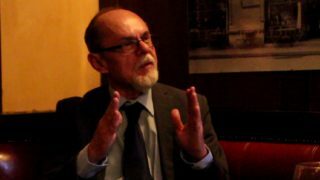 While this same Lothrop has also proven, though indirect ties with the Soros Galaxy (his hagiography being, for example, a substantial chapter of the volume which Sandra Pralong, founder of the Romanian subsidiary of the Open Society Foundation, devoted to “Foreigners who fell in love with Romania”). As a likely consequence of this asymmetry, despite its recent parliamentary failure, G2 appears to be, on the whole, more efficient than G1. Exploiting the chauvinistic legacy of N. Ceauşescu’s national-communism, it manages to infiltrate not only the PSD, the country’s main political party, but also the nationalist circles and even some press bodies close to Russia. In comparison, Don Lothrop’s video quoted above (actually an almost openly partisan campaign clip in favor of candidate Johannis on the eve of the last Romanian presidential elections) has, as of the time of writing, less than a thousand views on YouTube. 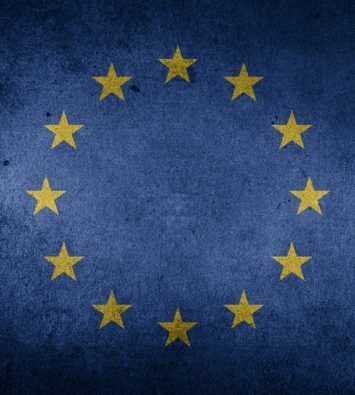 Similarly, despite its financial resources, that can be assumed to be considerable in view of the budgets of the Lothrop trust, the PressOne site currently has fewer than 50,000 Facebook subscribers, half that of Gândeste.org, the main forum of the sovereignist Romanian movement, which, to my knowledge, does not benefit from any external support. Traditionally mediocre, the electoral results of the Romanian “right” have, in recent years, been getting worse; it seems reasonable to think that its increasing co-optation by the Atlanticist networks has the effect of pushing towards the PSD a former anti-communist / sovereignist electorate, which prefers to overcome its historical resentment towards the heirs of the Ceauşescu era rather than to endorse the porosity of G1 to G3, and the hijacking T. Băsescu and K. Johannis performed within the parties which lay claim to the heritage of bourgeois parties of the inter-war period. The constitution of a coalition between the PSD of L. Dragnea (the bête noire of G1, G2 and G3) and the ALDE party, which gathers around C.P. Tăriceanu the members of the historical right who opposed the above-mentioned hijacking, is, in my opinion, one of the signs of this coming sea-change.